Last year, we introduced you to our partners at the Torres del Paine Legacy Fund, an organization whose mission is to ensure a sustainable future for Torres del Paine National Park and its surrounding communities. The park, a crown jewel of Chile’s Patagonia region and best known around the world for its ‘W Hike’, has seen a tremendous increase in visitation in recent years, which has put an enormous strain on the region. In response, the Torres del Paine Legacy Fund was established in 2014 to help create a mechanism that would bring a sense of shared stewardship of the area and address the sustainability challenges the region is facing. The Fund has been hard at work since we last checked in with them and we wanted to highlight a few of the valuable projects and progress they’ve made recently, all in the name of ensuring that we can all continue enjoying Torres del Paine National Park in a sustainable and responsible way. In January, the Torres del Paine Legacy Fund helped facilitate a sustainable trails clinic with AMA Torres del Paine as a part of the “Best Footprint for Paine” campaign. Various stakeholders, including private businesses, CONAF (the governing body overseeing Chile’s national forest resources), and civil society organizations, participated in the clinic, which was led by trail expert Jacob ‘Sutra’ Brett of Shuswap Trail Alliance. Participants learned how to maintain existing trails, design new minimal impact trails, and understand the science of trail building. A combination of theoretical and hands-on workshops helped everybody gain new tools and skills to improve park infrastructure. In Torres del Paine, an increasing number of visitors have combined with Patagonia’s notorious high winds to generate three large man-made fires since 1985, all started by tourists. These infernos ravaged almost 1/5th of the park’s area, including approximately 45,000 hectares of native lenga tree forests (Nothofagus pumilio), home to numerous endemic species, such as the endangered huemul deer (Hippocamelus bisculus), that are now facing drastically reduced and altered habitats. In early 2019, volunteers joined the Torres del Paine Legacy Fund to monitor the progress of Lenga tree reforestation in the park. CONAF has been diligently restoring fire affected areas to ensure the survival of these vital habitats for the many types of plants and animals that rely on these ecosystems. Fortunately, after a week of monitoring, the team found that nearly 90% of reforested Lengas were in healthy condition. Last November, a group of volunteers from all over Chile joined the Fund and park rangers in controlling the invasive plant species Retamo (Cytisus streatus), which spreads rapidly and displaces native plants with its strong roots. Retamo is highly flammable and can fuel devastating forest fires, making it even more imperative to combat during the dry and windy seasons. The Fund has also been busy building two 170-meter boardwalks over wetland areas of the park along both the W and O circuits. This infrastructure helps us to enjoy these beautiful ecosystems, minimizing our impacts and keeping our boots dry! Interpretive panels explaining the unique flora and fauna found in these habitats have also gone in along these new trail additions. 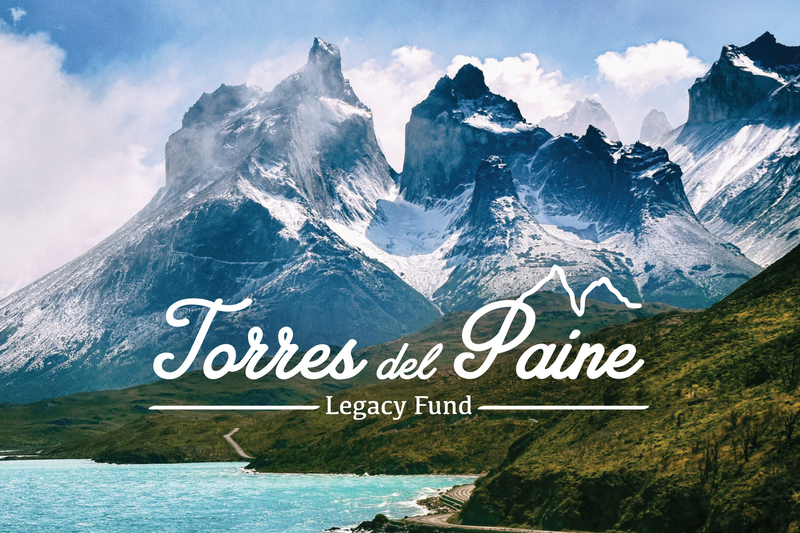 If you’d like to learn more or help support the Torres del Paine Legacy Fund’s campaign, click here. And be sure to stay tuned to our Southern Explorations newsletter for progress reports and updates from the campaign.